Hey, guys! 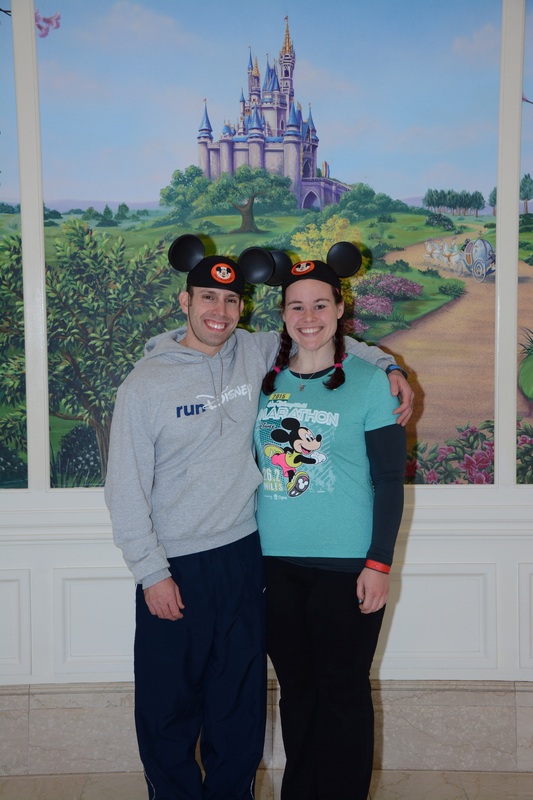 So I’m suffering real, real bad from my usual bout of post-Disney depression, and figured there’s no better way to combat it than by planning my next trip writing my Walt Disney World Marathon Weekend recaps! As always, I’ll start with a quick look at the expo, and then share some other details (and, of course, pictures) from our trip! We had a 9am flight from NJ on Wednesday morning, which I didn’t care for because a.) 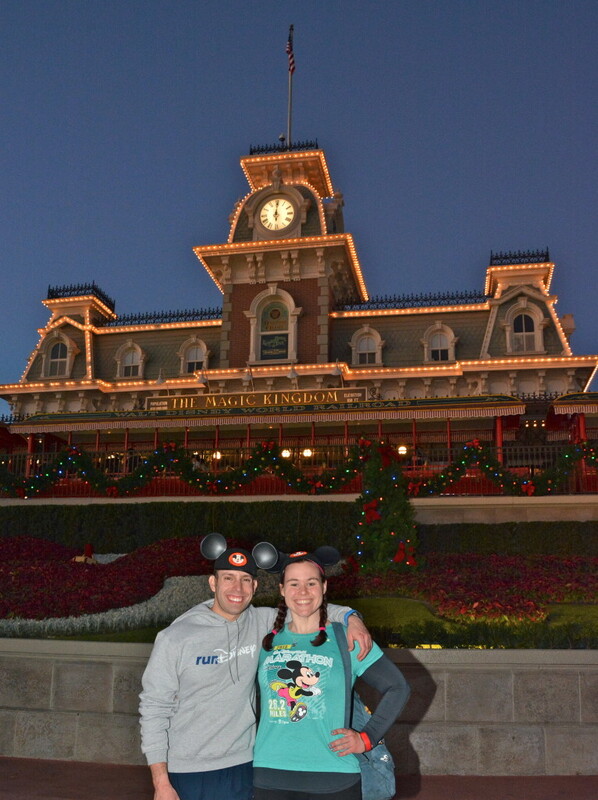 I prefer to leave for my Disney trips in the wee hours of the morning (6:30am or earlier) and b.) it was making me nervous that I knew there was a decent chance that some merchandise would be sold out already by the time we got to the expo. But, unfortunately, JetBlue had BY FAR the cheapest morning flight…which then didn’t take off on time…which made me a very, VERY impatient person. I know there are some runners who don’t care so much about the merch — and, honestly, I wish I could be that way! — but for me, I love having my pick of the shirts, pins, magnets, etc. And I hate that things tend to sell out within just the first few hours of the first day of the expo, and I have to worry about racing to Florida as quickly as possible just to have a chance to give Disney even more of my money. No bueno. But that’s another post for another time, haha. Before we left for the airport, I made sure to log into the New Balance website to join their “virtual queue” for a chance to buy sneakers at the expo. I got in just minutes after they opened the queue at 6am, and yet was already assigned a 4:50 time slot. Um…really? I didn’t even especially care for the new sneakers, but I figured I’d take a look at them in person — and this way, if I wanted to buy them, at least I would have the opportunity to do so. Anyway, we landed, hopped into my rental car from Alamo (Disney PROTIP: if you’re the slightest bit Type A and/or have even a loose schedule for your trip, constantly having to wait for buses to get around on Disney property can and WILL drive you insane), and headed straight to the expo. We did not pass GO, we did not collect $200. We were finally in Florida, and I couldn’t get to that expo fast enough! Once we arrived at Wide World of Sports between 1:30 and 2pm (the expo opened at 10am), I made a beeline for the runDisney merch area, which I was pleasantly surprised to find was quite calm and orderly, and still pretty well-stocked — except for one adorable Goofy shirt I really wanted, which was sold out except for S and XL…when I needed either a M or L. Fortunately, my tried-and-true expo trick of stalking people who have more than one of your desired item, skulking around and waiting for them to try it on, and then politely asking for their rejects worked like a charm — I got my hands on a medium. After I spent about a zillion dollars in gift cards (‘cuz I collect them all year from my birthday, Christmas, etc. just for this proud moment, haha), we checked out the rest of the expo. 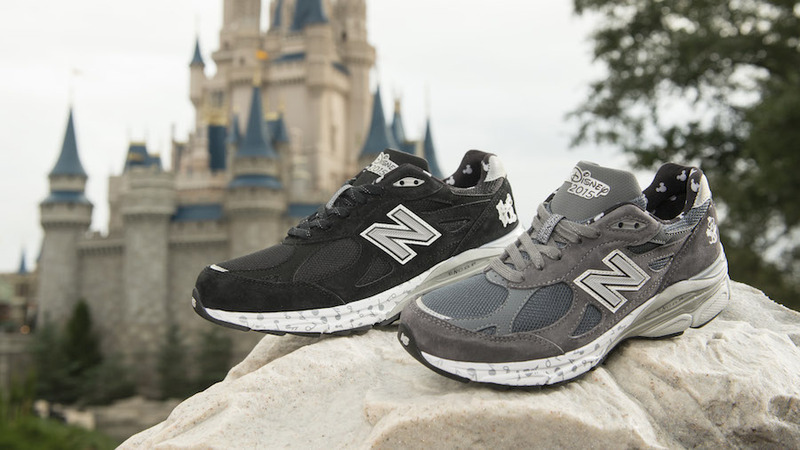 Including the New Balance 2015 runDisney running sneakers. Which, I am sorry to say, I found downright ugly. 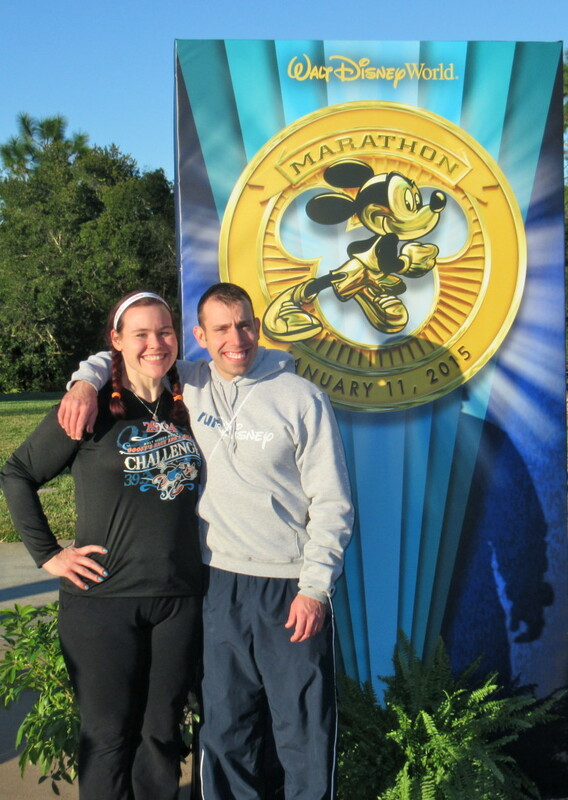 Normally, runDisney can slap their logo on just about anything and I’ll probably buy it. (Big surprise, right?) But these were a huge disappointment, and at $180 bucks a pop, the fact that New Balance took a boring black and white sneaker they already sell and added a silly little Mickey decal and called it the “2015 runDisney design” is not cool. Oh well, more money to spend in the parks. The “good” news? New Balance never even called me for my appointment time. I did get confirmation text with my “estimated” return time, but never got anything else. Which wouldn’t have been so fine and dandy had I actually wanted the shoes. The rest of the expo pretty much felt same old, same old to me. Whereas race expos once used to be exciting, I’m sad to say they no longer thrill me the way they once did. Especially since the runDisney expos are quite large and crowded, and you basically have to walk to Narnia to get your bib and then back into the main expo area for your shirts, etc., and all while pushing and shoving through massive crowds of your fellow runners. It’s exhausting! 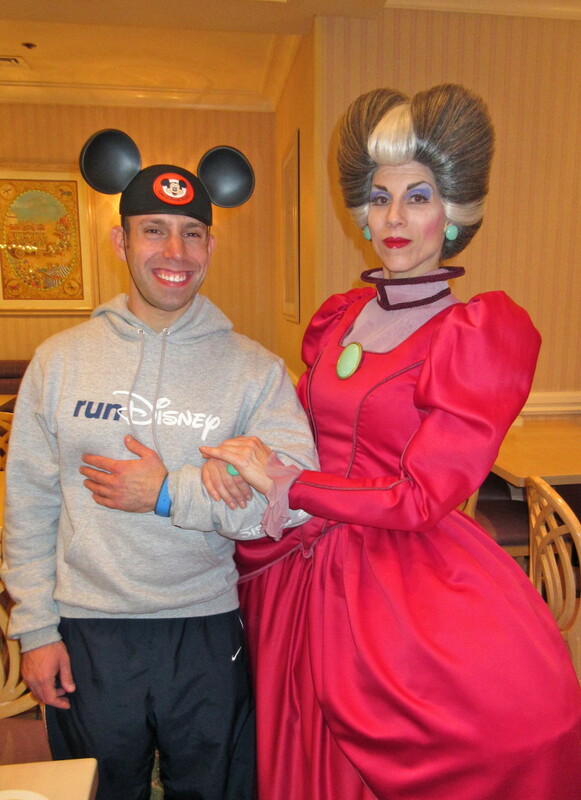 RunDisney races attract the best vendors, don’t get me wrong…but it’s all stuff I’ve seen before. But, don’t you worry…we still managed to have a little bit of fun. 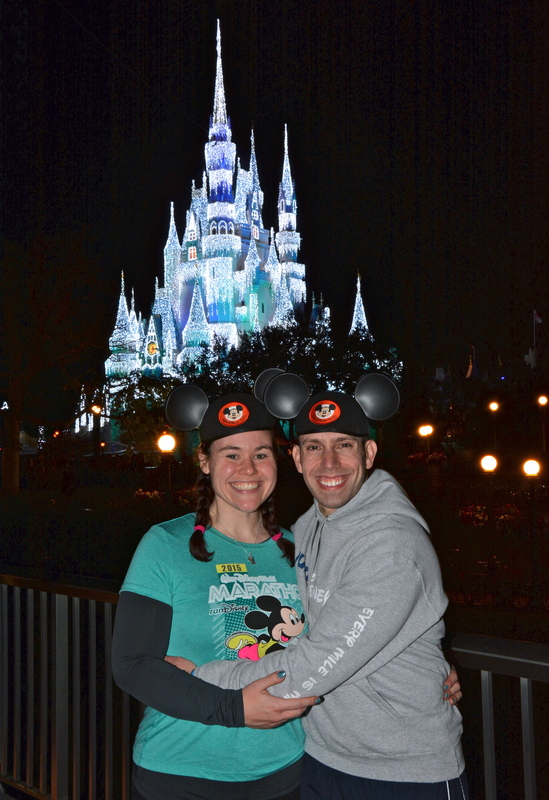 But after that, we grabbed our bibs and got out of there — I had Fastpasses in the Magic Kingdom, for crying out loud! We quickly checked into our resort — Pop Century this time — and made our way to the happiest place on Earth. Unfortunately, we ended up being just 15-20 minutes late for our first Fastpass+ reservation at Buzz Lightyear, and they turned us away (Disney PROTIP: they are enforcing the new Fastpass+ system BIG TIME, so be there during your one-hour time slot or you’re sh*t out of luck). But we still had time to catch the other attractions I reserved. 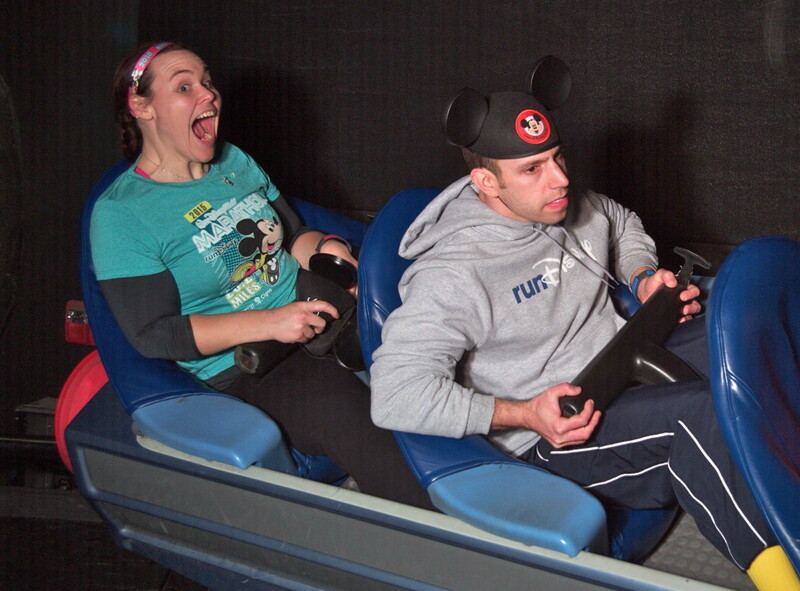 Guess which person in this photo is just a teensy bit scared of Space Mountain…? And…I did get to see the new show where Elsa lights up the castle! Which was pretty fantastic for a Frozen geek such as myself. After watching Wishes (my favorite), we made our way to the monorail for our first dining reservation: 1900 Park Fare! Let’s just say the Grand Floridian made our lodgings at Pop Century look a bit…sad. Haha. But after a loooong, exhausting day of travel and expo and theme park time, I was SO READY to stuff my face enjoy a buffet dinner. 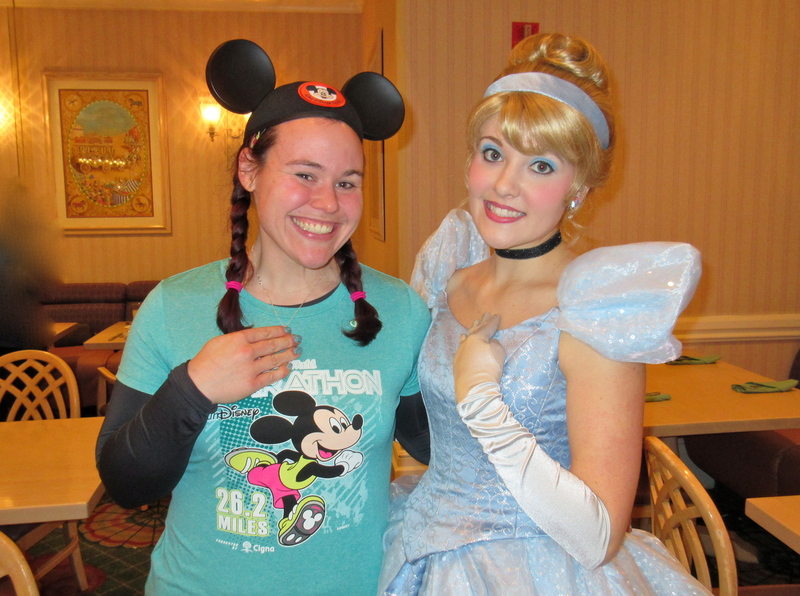 And take pictures with Cinderella and friends. Next up: a recap of the Walt Disney World Half Marathon! 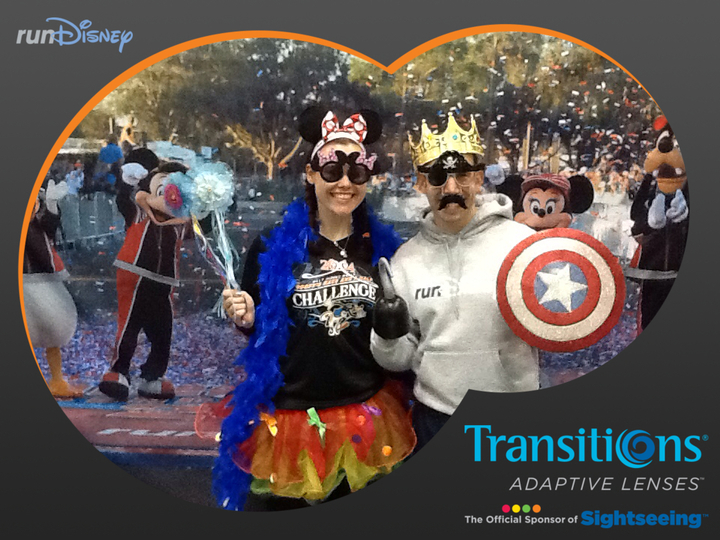 What’s your favorite part of a runDisney expo? Do you have a favorite WDW restaurant? What do you think of this year’s New Balance runDisney sneakers? I can identify with wanting to get there early! 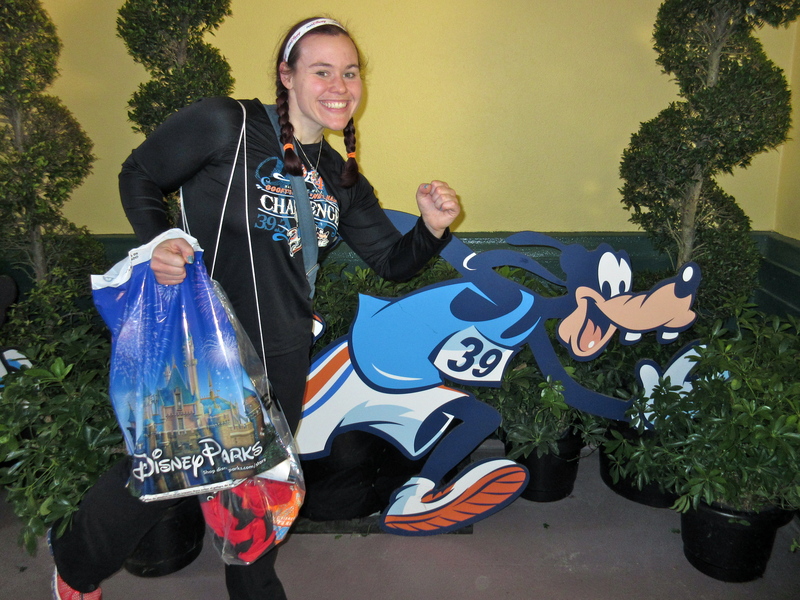 My favourite part of the RunDisney expo is leaving……..with a lot of bags full of purchases! No sneakers this year – too boring and too expensive. I was so disappointed in the new balance shoes this year too! I was actually planning on buying a pair until I saw them…no thanks! Awwww that space mountain picture is cute. Poor Todd, haha! My favorite Disney restaurant is Citricos inside the Grand Floridian…. so good!! My mom and step dad ate at Victoria and Albert’s once and said it was really good and exactly what you would expect from a five star restaurant. I’d love to try it someday! I can definitely sympathize with wanting to be at expos early, and preferring to rent a car instead of taking the bus. 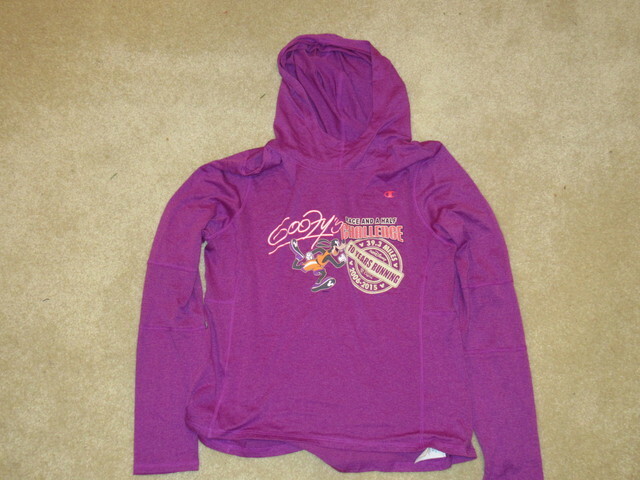 But yay to getting the Goofy shirt in the size that you needed! And I must agree, the new New Balance shoes are pretty disappointing. No thank you. Oh, for sure — when you know you’ll be fighting such insane crowds the entire time, well…you gotta do what you gotta do, lol. Great Space Mountain pictures!! When I first saw the NB shoes..I thought.. they look like regular NB sneakers. Haha, thanks! YEP…they ARE! That’s what’s so annoying. They didn’t “design” a new sneaker at all…just slapped a Mickey decal on a shoe they already sell. Boo. Dude! More Pro Tips!! I totally needed more of these on my first trip. Be happy you didn’t decide to get there on Friday – there was not a whole lot left. Oh well!